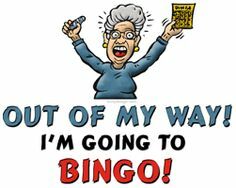 A community Bingo Night is hosted in the Post 223 hall every Thursday at 7 p.m.
10. Thou shall not say "Aw, Sh*t!" when thy neighbor wins.